Never an Apple 2 guy, so I was surprised when I found reference to the Apple Tablet in wikipedia's Timeline of Apple Inc. products. 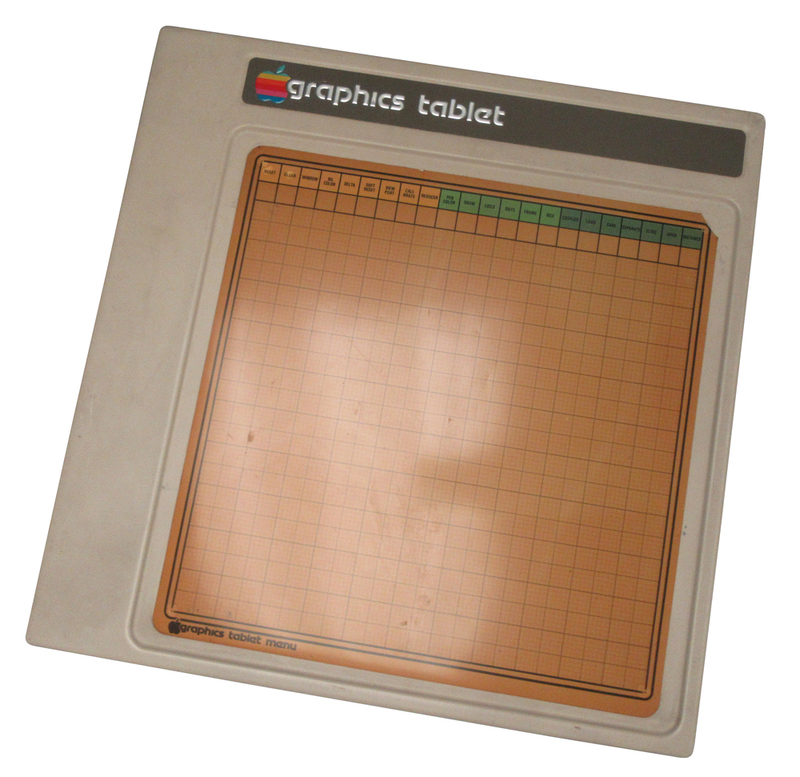 Has anyone got info on the tablet as regards Mac development or use on the Lisa? I wonder if Susan Kare used one? It seems like the kind of thing someone on the team would have hacked for her to use. Haven't figured out the timeline, but it seems like she must have done the bulk of her design work (Steve Icon) on the Lisa, everyone else on the team at the time had to do software development on the Lisa. Not my pressure sensitive 12x12 (serial/wireless) WACOM, but very cool, wspecially for that time frame! I think the Koala Pad is a better design, IMHO.